Pioneers in the industry, we offer cashmere shawls, reversible pashmina shawls - two tone, reversible silk pashmina shawls and reversible woolen shawls from India. We offer Reversible Pashmina Shawls - Two Tone. Fine Pashmina Wool X Silk Reversible Colors. 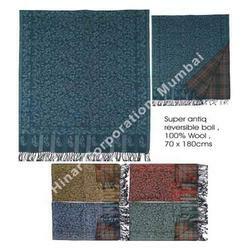 More Than 100 Color Combinations+ We Can Make As Per Buyers Colors Too. To build up a long and mutual business relationship with clients, we are engaged in manufacturing and supplying quality grade Reversible Woolen Shawls. 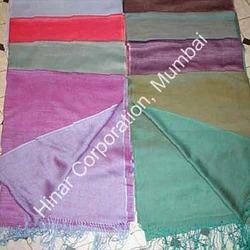 These shawls are designed by using finest quality wool, procured from authentic vendors. Available in different mesmerizing colors, and designs these shawls are high admired for warmth & light weight. Our quality analysts check the Reversible Woolen Shawls on finishing and designing parameters before offering to the clients at market leading price.